This year I donated several of my images to the Highland Hospice for their Christmas Card collection and also for their yearly calendar. The card they produced sold well raising money for this important and worthwhile organisation serving the Highlands. 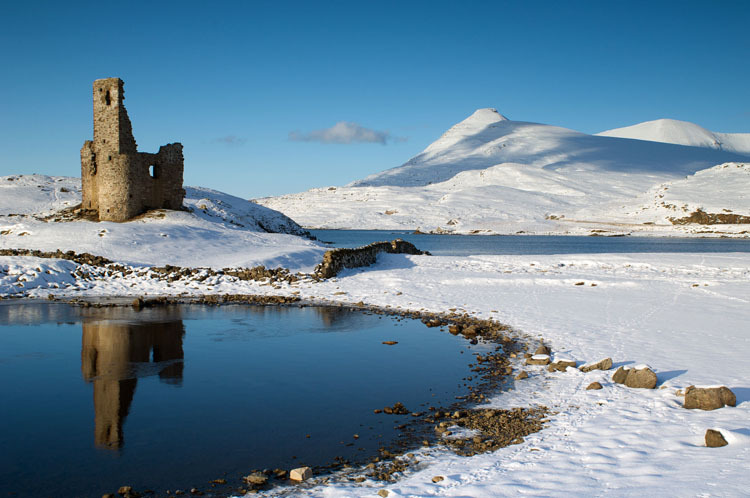 They chose Ardvreck Castle blanketed in snow. Highland Hospice is the only hospice serving adults with incurable life limiting disease in the Highlands of Scotland and are acknowledged as a resource of specialist palliative care expertise in the region.